Your quinceanera or sweet fifteen birthday celebration will be an unforgettable occasion with accessories from Affordable Elegance Bridal. 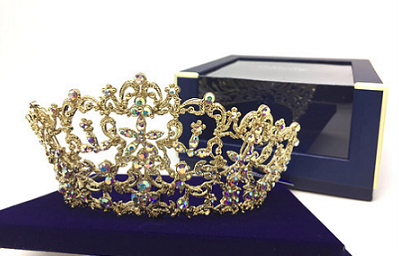 Choose from our wide selection of dramatic tiaras, quinceanera and damas jewelry sets, decorations and favors to complete your day. Pictured here is the exquisite quince tiaras, hp17919ab, available in silver or gold!